Urbana, IL: University of Illinois Press, 2008 A great copy at a great price. 342 pages. . Trade Wraps (Large). Very Good. U.s.a.: Imagine, 1983 6th printing, 1994. near fine. .
By Bradley, Doug. 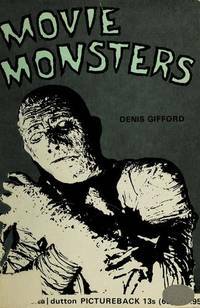 Foreword by Clive Barker. Titan Books, London, 1996. Trade Paperback. Book Condition: Near Fine. First Edition (first printing). .
2010 Whitman Publishing, 2010. Soft cover. Book Condition: As New. No Jacket. Collectible Movie Posters, edited by Jim Halperin and Hector Cantu with foreword by Sara Karloff, 2010. 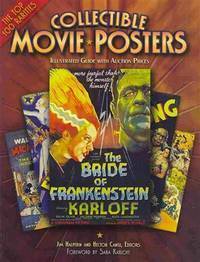 Guide to collectible movie posters covering the top 100 rare movie posters, many from the 1920s and 1930s through the 1950s, and an illustrated guide with auction prices. Includes information about the posters with full-page color illustrations of the posters. 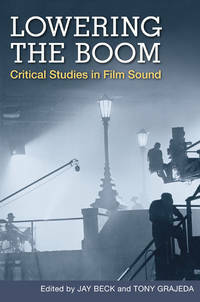 High quality softcover, 209 pages with bibliography and index, a crisp and clean copy in almost new condition with essentially no wear..
Serious Business Company - Film Catalog Berkeley, California. 1976. Berkeley, California. : Serious Business Company, 1976 Quite scarce, illustrated entries, 160 pages. . Only Thus Edition . Illustrated Card Wraps. About Fine. 8vo - over 7¾ - 9¾" tall. Bagged for Preservation. Hanover, New Hampshire, U.S.A.: Anthology Film Archives, 2001 As New. Bagged for Posterity. Mater - An American Study in Comedy. With Genuine Photos of the Play Scenes and a Program. Mater - an American Study in Comedy. With Genuine Photos of the Play Scenes and a Program. 7 old photos in all with a program dated April 23, 1917. The Drama League of Boston were the players. This copy likely belonged to a cast member, there are a few marginal notes in pencil. Spine a bit darkened.. Very Good. 8vo - over 7¾" - 9¾".
" 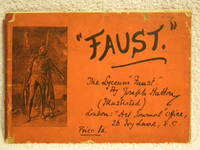 The Lyceum "Faust." By Joseph Hatton. With Illustrations from Drawings by W. Telbin, W. H. Margetson, Hawes Craven, J. Bernard Partridge, and Helen H. Hatton. (Reprinted from the Art Journal) Publisher: J.S. Virtue & Co., 1885, possible first edition thus with an ad for the production at the Lyceum Theatre stating: 'Mr. Henry Irving. Miss Ellen Terry. Saturday, December 19th, 1885, at 7:45 will be presented for the First Time, FAUSTin prologue and Five Acts. Oblong (23cm x 16cm). Pages: 32. Pictorial Orange paper boards, red cloth spine. Also included within are 5 ads for Virtue's'The Art Journal' for april, May, June, & July 1886 & The Art Annual for 1885 Life and Works of John E. Millais. The covers are worn and edge chipped, good - Cotents are VG with the 1st page (ad) edge-chipped and loose. Quite scarce and early theatre & play promotional book. Photos Available. Keywords: PERFORMING-ARTS THEATRE ANTIQUARIAN; Catalog: Performing Arts. 1st. Hard Cover. Good. Bagged for Preservation. NY: Ballantine, 1992 Ballantine Books, 1993. Advanced Reading Copy (ARC). Uncorrected Proof. Red wrapper, Near Fine.. True 1st. Red Wraps. 8vo - over 7¾" - 9¾" tall. SCENERY AND DRAPERIES OF THE TIFFIN SCENIC STUDIOS. 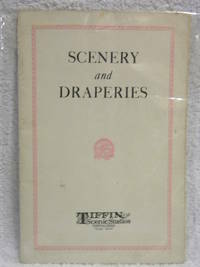 Tiffin, Ohio: TIFFIN SCENIC STUDIOS., 1920 Illustrated with 48 pages of colored and B&W plates. Tiffin Scenic Studios, Tiffin, Ohio (ca. 1920). An unknown Edition of this trade catalogue offering landscape drops, interior sets, statuary, spot and flood lamps, draperies, etc. for theatres and movie houses. Near Fine with chip along the top of the front cover.. Titled Wraps. Near Fine/NA. 8vo - over 7¾" - 9¾" tall. New York, NY, U.S.A.: Harry N. Abrams Incorporated, 1983, 1983 Black Cloth-Gilt Titles. Fine/Fine. ISBN:0810909804..
London: Thames and Hudson, 1956 Grey Cloth/Gilt Titles. Fair/Fair..
Norfolk, Connecticut: New Directions, 1945, 1945 Yellow Cloth, Gilt Titles. Very Good/Fair..
New York, NY, U.S.A.: Henry Holt & Company, LLC, 1986, 1986 White Cloth, Gilt Titles. Fine/VG. ISBN:0805000607.. First. Hard Cover. New York: Holt, Rinehart and Winston Blue Cloth-Gilt Titles. Fine/Near Fine. NY: Program Pubs., 1942 Very Scarce, lovely color cover illustration by Marcel Vertes. 52 pages of tour photos, portraits and ads, etc. Nice full-color ad for Elizabeth Arden Fragrance on the inside of the FC. Other nice ads, mostly Perfume.. 1st Thus. Illustrated Magazine Wraps. Near Fine/NA. Illus. by Assorted. Folio - over 12" - 15" tall. PROGRAM: So This is Gay Paree.Come Along with Me We're Stepping Out to See the Latin Quarter"
NY: Lou Walters, 1948, 1948 Illustrated Wraps. NA. First. 8vo - over 7?" - 9?" tall. A lovely folded Program (6"x9") designed to be folded again and sent through the mail. Unused, fine condition. Excellent Full-color GGA French dancer Illiustrations by Wesley Morse..
New York: Scarecrow Press Inc. 1965 Black Cloth-Gilt Titles. Fair. This is a set of two books.